I still haven't forgotten about Cambodia. 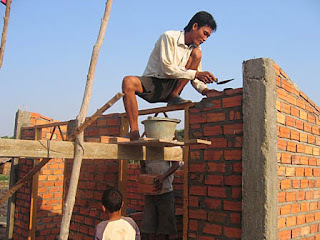 My friend, Savong, doesn't seem to have enough on his hands as a director of his English language school so he decided to build an orphanage. If you've ever been to Cambodia, you quickly realize that there are children everywhere. It is estimated that over half of the population is less than 18 years of age and I'm sure many of these kids don't have parents. Somehow they manage to survive on their own. 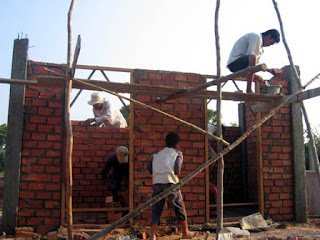 Savong's orphanage can give some kids a chance. 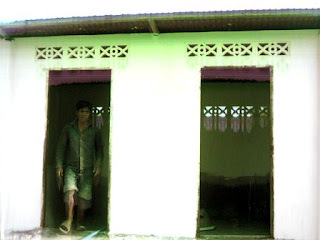 I wanted to find out how I could contribute so Savong told me that, although the building to house the kids was quite adequate, they were still missing bathrooms. I told him I would see what I could do. With money, things can apparently get done quite quickly. 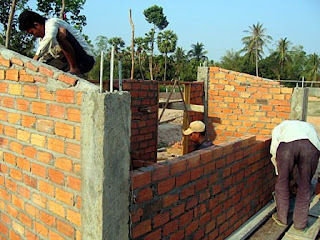 After I sent Savong some money donated by my friend Eddie, they started construction on the project right away. Here are the pics from the beginning right up to the finished project. This sign just cracks me up. 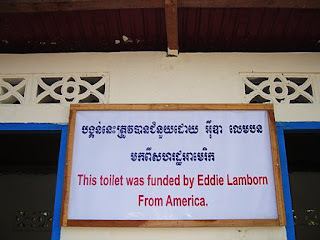 I told Eddie that he now has a building named in honor of him. 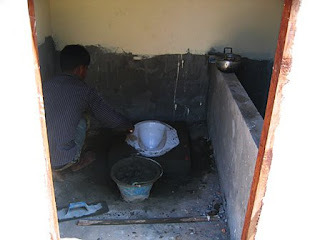 The building is a toilet in Cambodia but it's still a building!! I'm very proud that I was a part of this and I want to thank Eddie (as well as my other friends and relatives) for all the contributions. 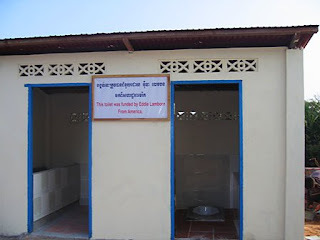 I realize that a couple hundred dollars is a lot of money for many people in the United States but in Cambodia, it can literally change lives.